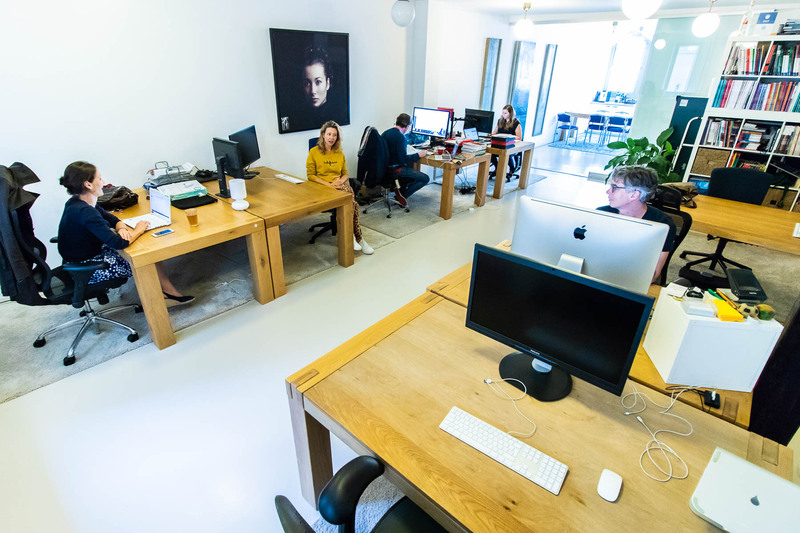 We have a couple of desks available in our beautiful office on the Lindengracht, in the beautiful Jordaan area of Amsterdam. We're in a lively neighbourhood with lots of bars and restaurants and are within walking distance of Central Station. The office has six desks, three of which we use ourselves. We keep our conference table in the front of the office. This is where you'll find the kitchen as well, which faces the terrace. We keep the terrace doors open in Summer. 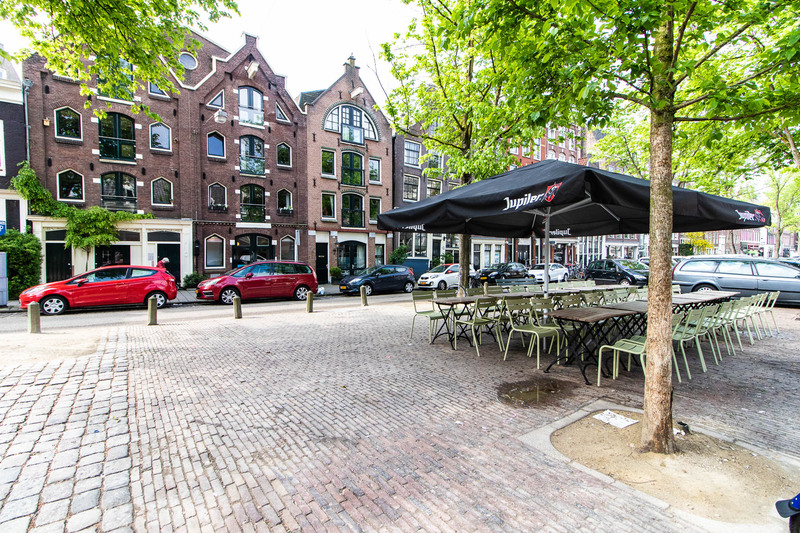 Our office lies on the intersection of the Prinsengracht and the Brouwersgracht: a beautiful location with a lot going on. 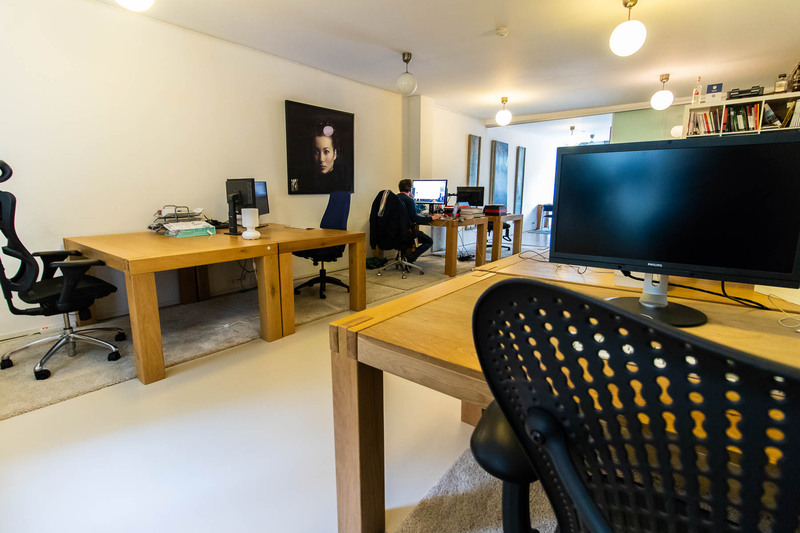 Our office space consists of two open rooms. 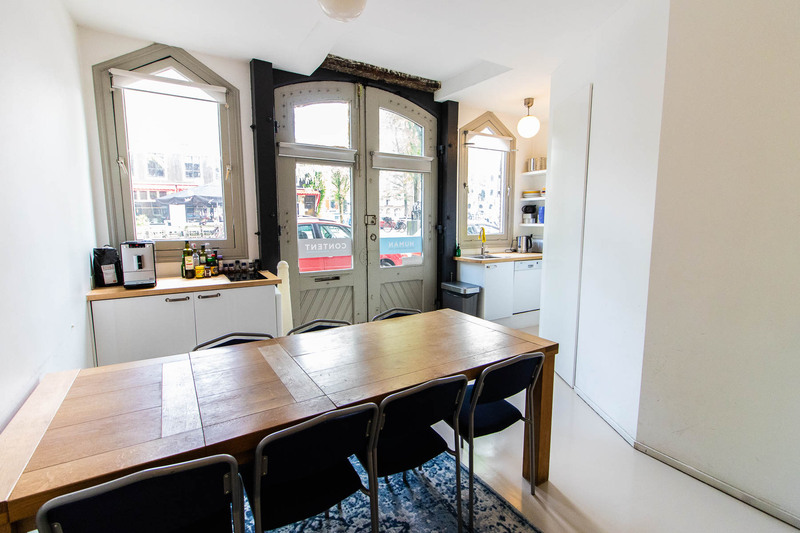 The front of the office contains a kitchen and a table for lunch and meetings. Our workspace is in the back of the office. You'll receive your own key, so you can access the office 24/7. We're Bas, Alex and Richard. Bas and Alex have an Internet agency and develop websites, online applications and mobile apps. Richard is a freelance developer. We've been in this office for over four years now and still like it a lot. 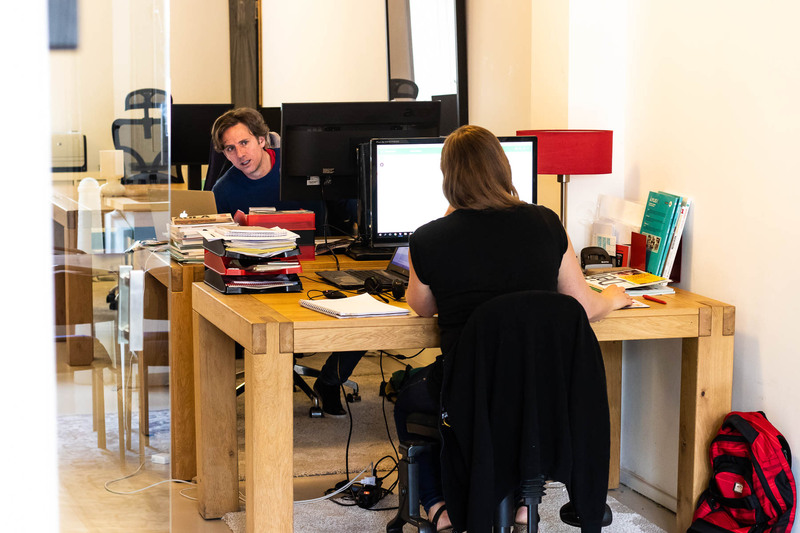 If you're interested in renting a desk with us, you don't need to have the same background, but we do value a personal connection, so it's important that we all like each other. The space is 75 square meter (800 square feet). It's a very nice place to work. Especially in Summer, when we can keep the doors open and you can hear the street buzz in the background. The thick walls make sure that it's never too warm or cold. 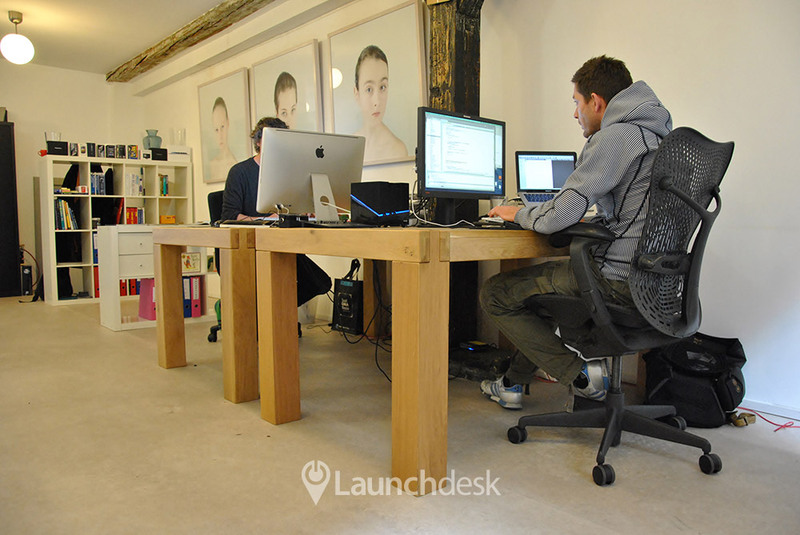 Your desk consists of a big wooden table and a proper desk chair. There is some closet space available that can be used. We keep some Ikea-cupboards in the back to store binders or other things. You can use everything in this office. If you want to print something, that’s possible. There is microwave in our kitchen, a fridge, a coffee machine, a water heater and even a blender. In the front there is a large meeting room table that you can use. There is also a flat screen tv there to do presentations on for example. Parking in front is always possible, there is always enough space, but it’s pricey though. Sometimes we go out to grab a bite to eat together. Besides that the vibe in the office is good, though there’s mostly lots of working going on. For lunch we do take some time: we take turns in going to the store to get some nice food. New renters can of course participate in this if they want. 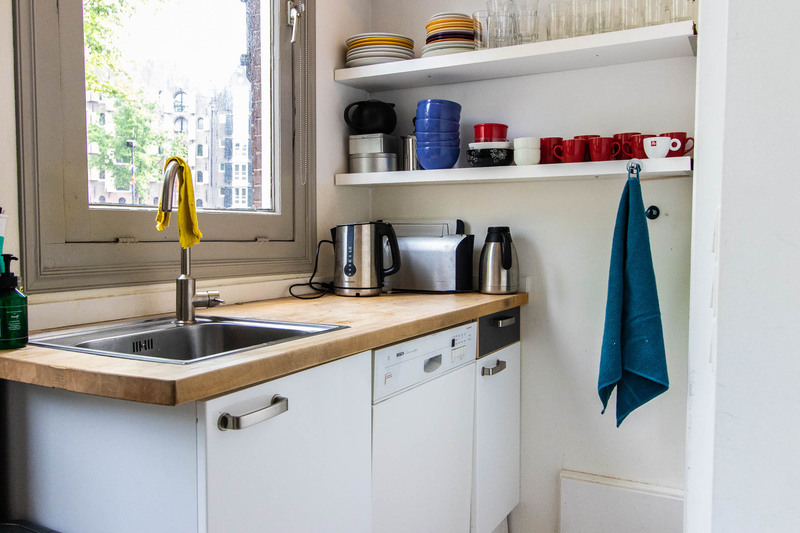 In our office in Amsterdam Grachtengordel we currently don't have anything for rent. "Ja leuk, ik wil hier graag komen zitten." "Mooi kantoor, leuke locatie. We twijfelen nog wel over een andere locatie." "Deze optie minder geschikt voor mij." 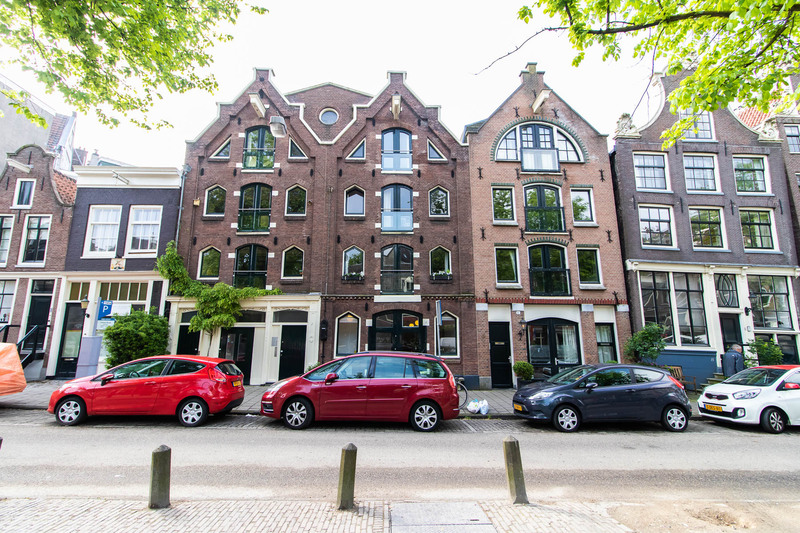 "Kantoor aan de Lindengracht is een mooi pand op een gezellige locatie met een groep aardige mannen. Er hangt een ontspannen sfeer en daar kunnen leuke samenwerkingen ontstaan." 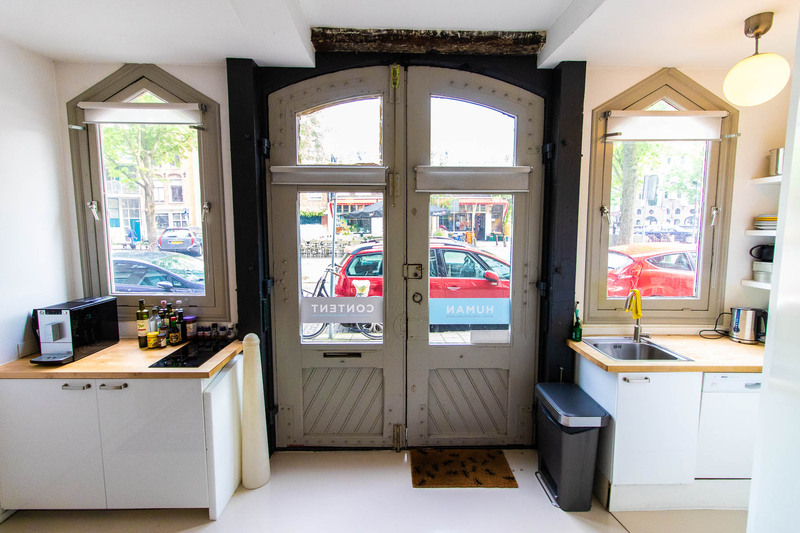 "De locatie Lindengracht en het team was zeker volgens onze smaak. Begin volgende week laat ik het aan je weten of ik 2 plekken ga huren!"